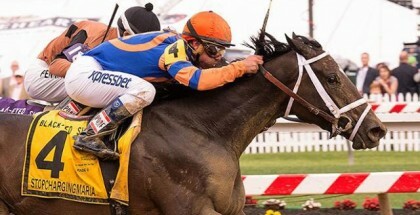 Pimlico Special 2015: Older Horse Launching Careers- The Pimlico Special (GIII) is a Thoroughbred race contested at Pimlico Race Course in Baltimore, Maryland. 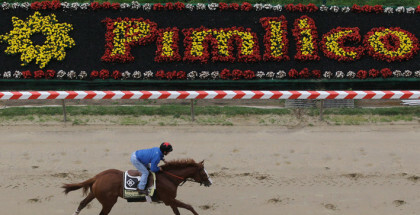 The Pimlico Special is raced over a distance of 1-3/16 miles on the dirt for a purse of $300,000 and is open to three-year-olds and upward. In the past, some horses used this race to launch their careers. Recently, Cigar, Skip Away, Real Quiet, Mineshaft, and Invasor won this race and later were rewarded the Horse of the Year titles or Eclipse Awards in other divisions. This year, some horses who are considered to be promising horses are trying to use this race as a trampoline to the top company. The competitive field of older horses is commanded by Commissioner, a horse once considered to be a Derby prospect, but he failed to qualify for the Kentucky Derby. However, he almost won the Belmont Stakes, being defeated by just a nose by Tonalist. 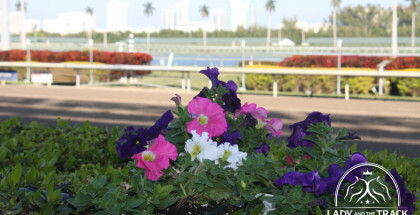 After that solid effort, the horse underwent surgery to remove an ankle chip and came back six months later with a third place in an allowance race over 1-1/16 miles at Gulfstream Park. Well-beaten in the following Donn Handicap (GI), he returned with a victory in the Skip Away (GIII) and gradually returned to his old shape. Now, he’s trying to use this race to launch his career. Trained by Shug McGaughey, Top Billing was a rising star on the Derby Trail last year until a cannon bone injury sidelined him for twelve months. He returned on February 22, 2015, with a fourth-place finish in an allowance race at Gulfstream Park. Top Billing improved a lot in his second start after the layoff, finishing second by coming from the clouds in an allowance optional claiming race over 1-1/16 miles at Keeneland and thus indicating that he is ready for better races this year. When Page McKenney was claimed for 16K, nobody thought he could go too far. After being claimed, this horse has hit the board in 18 of 20 races, including several wins in listed stakes races. His last race in the Charles Town Classic represented his first graded stakes race in which he claimed an important third-place finish. 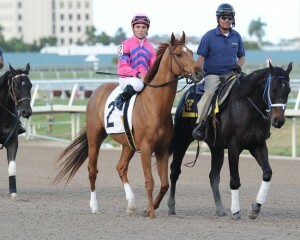 Page McKenney is an example of consistency, so he should run very well yet again. Transparent, a Bernardini colt trained by Kiaran Mclaughlin and owned by Godolphin Stables, is coming into the race off a victory in a 1-1/16-mile allowance at Keeneland. Transparent has simply lacked consistency, hitting and missing races all last year. Kid Cruz will be trying to resume his winning ways since last winning the Grade III Dwyer Stakes on July 5, 2014. This horse has experience at Pimlico, and that makes him a good choice here. Kid Cruz is also a horse with the stamina to handle the 1-3/16 miles. Tapiture, the West Virginia Derby (GII) hero and Pennsylvania Derby and Breeders’ Cup Dirt Mile runner–up, came back on March 14, 2015, with a disappointing fifth-place run in the Razorback Handicap (GIII) at Oaklawn Park. A month later, he improved a bit to finish a distant third in the Oaklawn Handicap (GII). Tapiture is eligible to bounce back in the Pimlico Special, although the distance will be his worst enemy. Multiple graded stakes winner VyJack, Grade III winner and GII-placed Albano, Bob Baffert trainee Cat Burglar, and Encryption complete the Pimlico Special field. The Pimlico Special is a test for Commissioner to demonstrate he will soon be ready to face the big boys. Top Billing might need one more race, but he will surely be in the mix; he’s a horse to take into account this year. Page McKenney is a must-use in exotic plays since he’s always on the board and is a horse who can run all day, and this time he should pass a lot of tired horses. In this race, I’m playing Commissioner to win and a trifecta using 10 /8, 5, 6/ 8, 5, 6.